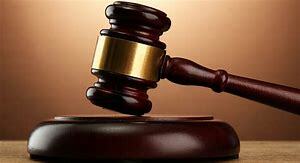 BINGA businessman Taurai Marava has taken the Zimbabwe National Parks and Wildlife Management Authority (Zimparks) to court demanding over US$210 000 compensation for loss of business and costs incurred in repairing his two fishing rigs that were impounded by the authority for 16 months. Zimparks impounded the rigs in August 2017 accusing Marava of fishing in a prohibited area of the Zambezi River and demanded $2 000 for each boat to be released. However, Marava approached the Bulawayo High Court challenging the seizure of his rigs, saying it was illegal. High Court judge Justice Maxwell Takuva ruled in his favour and also rapped Zimparks for impounding the licensed rigs. In a recent case, Marava again approached the same court demanding damages of US$210 740,17, according to summons filed by his lawyers Shenje and Company Legal Practitioners, gleaned by Southern Eye yesterday. In his declaration, the businessman said he lost US$193 784 in potential kapenta catchings and US$16 956,17 in repairs of the vessels after their release by Zimparks. “The plaintiff (Marava) would have earned US$5 per kilogramme and consequently lost revenue in the sum of $193 784 through the wrongful actions of the defendant,” Murava submitted. “The plaintiff’s vessels were damaged while in defendant’s custody and required certain repairs before they could be deployed on the waters for plaintiff’s business purposes. He submitted that payment should be in hard currency or RTGS dollars equivalent at the time of payment to the prevailing bank rate. Zimparks has also filed a notice of appearance to defend though its lawyers Coghlan and Welsh.